Like our models! We show our gratitude with the "Collector Membership". 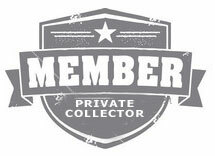 You can not request a "Private Collector Membership" for the reason that is a privilege reserved to people that have showed their interest in our products and start to collected them. It's for people that like our aircraft models and we want to show them our gratitude. When you place an order online with us, or buy one of our product at any Aircraft Collection sale's points and want to register your purchase, you will have to register on this website. We will initially consider you as a "Client". After you have brought five or more model aircraft your status will change to "Collector" and from that moment you will start to benefit from a substantial reduction on prices and some others benefits. The only thing you need to do is to register your purchase in your online inventory. 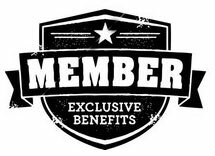 What are the benefits to get a "Collector Membership"
The first benefit you earn due to your collector membership is a 30% reduction of the total amount of your order excluding taxes and delivery charges. This reduction applies only to the price of the product you buy. You also get a direct acces to the production plan for all your special request. Because Aircraft Collection is it's own manufacturer, we can garanty the best service for all your special requests. Finally, if there a model aircraft that you need for a special occasion or promotion that is not in our catalog, we can work with you to develop the product that you need. Just use the form in section "Customized Products" and the production team will communicate with you in less than 48 hours. For a limited time, Aircraft Collection will automaticaly change you registration status from "Client" to "Collector Member" without any restrictitions related to the numbers of replica that you have brought whit us. Get all the advantages of the "Collector Member" now only by Registering. Aircraft Collection is an internationally renowned Canadian-based company which specializes in professionally crafted model airplane replicas which fulfill the highest standards in the industry for private and company aviation collectors.